Shalom and welcome to a summer adventure of exploring the writings and thinking of Rabbi Jonathan Sacks. Rabbi Johnathan Sacks was the Chief Rabbi of the UK from 1991 to 2013. He is recognized as a global religious leader, philosopher and teacher by Jews and non-Jews, whether secular or religious. The Daily Telegraph called him, “Britain’s most authentically prophetic voice.” He is a leading and challenging ethical voice of our time. Sacks is the author of more than 25 books. We will be sharing excerpts from 3 of them. The subtitle is “Finding Happiness in Unexpected Places.” This is a relatively short book, a collection of articles submitted to The Times of England that Rabbi Sacks reworked for publication. It is a good introduction to his work as he shares insights from personal experiences. 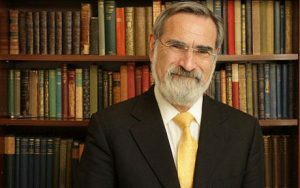 Following his own near death by drowning, and the painful loss of his father, Rabbi Sacks began to learn how to celebrate life in a new way. He addresses topics such as: Staying Sane in Troubled Times; Humor and Humanity; The Mirror of God; Love in a Loveless World; The Moral Maze; and Surviving Change. The current battle between science and history is based on a false dichotomy. Rabbi Sacks draws comparisons from different cultures and delves into the history of language and Western civilization to show that faith plays a vital and relevant role in the meaning of the human condition. History clearly teaches that when a society loses its soul, it will soon lose its future. He stresses that the civilization of the West is built on highly specific religious foundations, and if we lose them we will lose much that makes life gracious, free, and humane. Subjects discussed are: God and the Search for Meaning; Human Dignity; The Politics of Freedom; The Problem of Evil, and Why God? In recent decades we have seen violence unleashed in the world on an unprecedented scale, with terror and war being waged in the name of “God”. Important issues covered are: Violence and Identity; Sibling Rivalry; The Rejection of Rejection; The Universality of Justice, the Paricularity of Love; The Will to Power or the Will to Life. I hope you will make time to join Cindy and me as we savor the teachings of Rabbi Sacks this summer! Join the discussion, add your comment and stand a chance to win a free copy of the Jonathan Sacks book of your choice. This entry was posted in A Summer With Rabbi Sacks by Keren Hannah. Bookmark the permalink. Is it summer yet??? Can’t wait! Thank you Keren and Cindy, the taste of the summer sounds refreshing. This is so exciting! Love it. Thank you! This is so exciting! This guy is amazing. I’m so looking forward to digging deeper into some of his writings. Perfect choice, thank you so much. 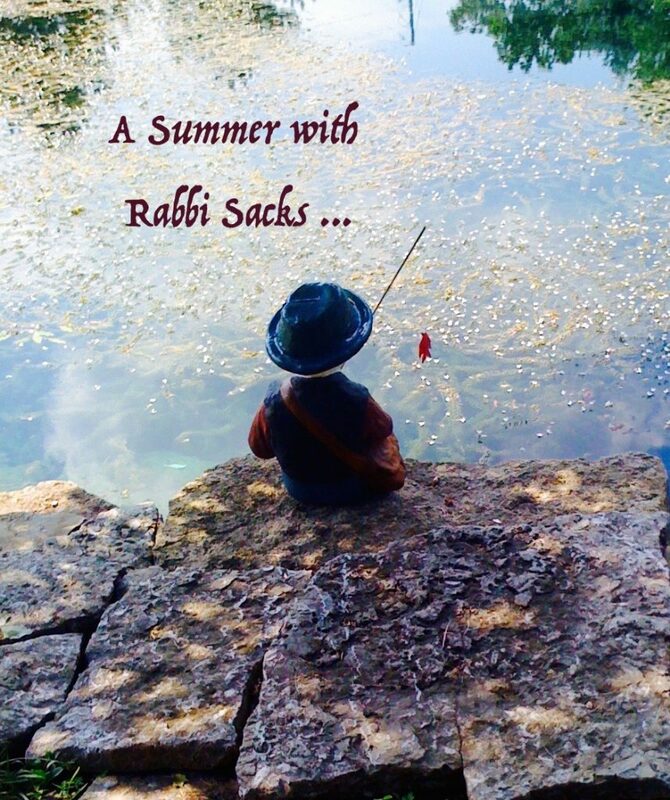 “A Summer With Rabbi Sacks” is surely tremendous, thought-provoking reading! We anticipate enriching observations from the astute rabbi!